It is often hard to tell if someone has CO poisoning, because the symptoms may be like those of other illnesses. People who are sleeping or intoxicated can die from CO poisoning before they have symptoms. 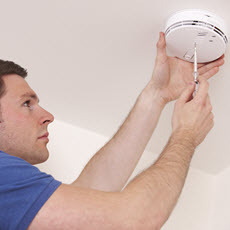 A CO detector can warn you if you have high levels of CO in your home. Article: Carbon monoxide poisoning surveillance in the Veterans Health Administration, 2010-2017.